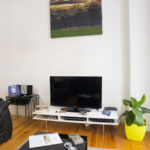 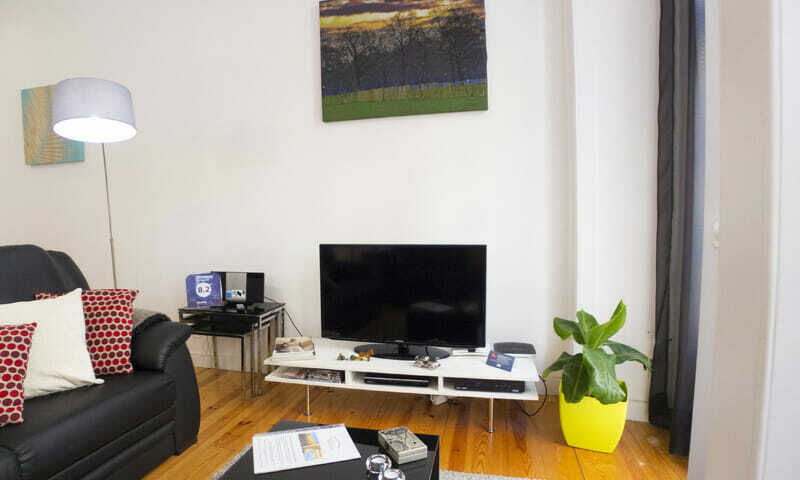 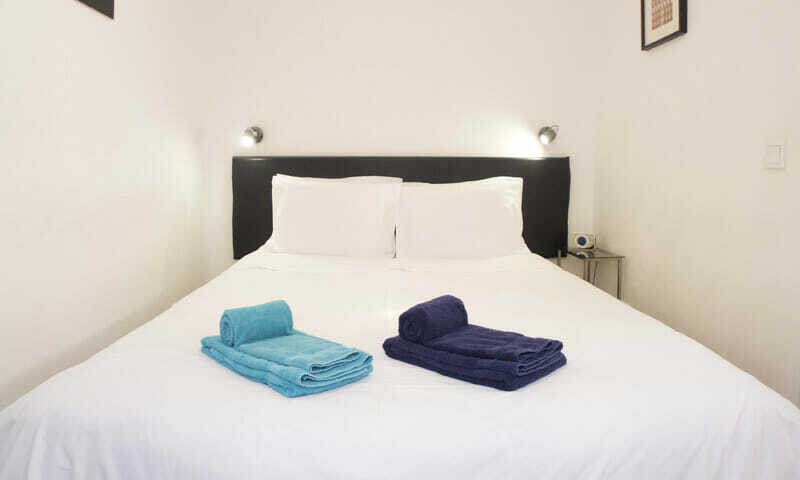 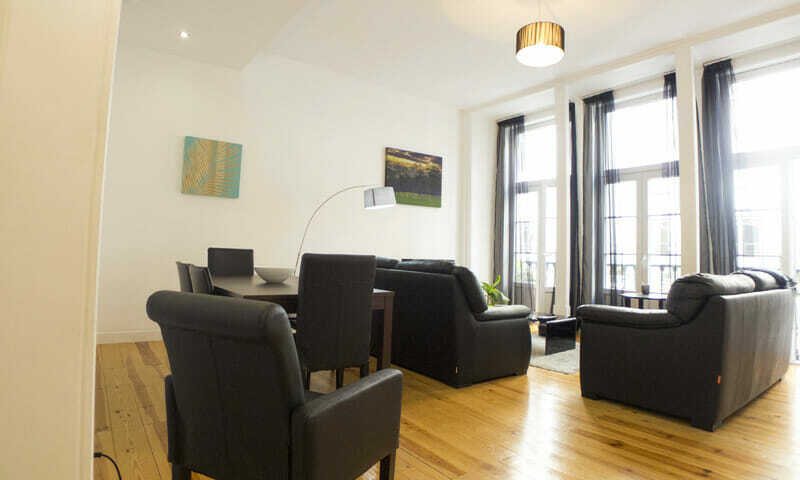 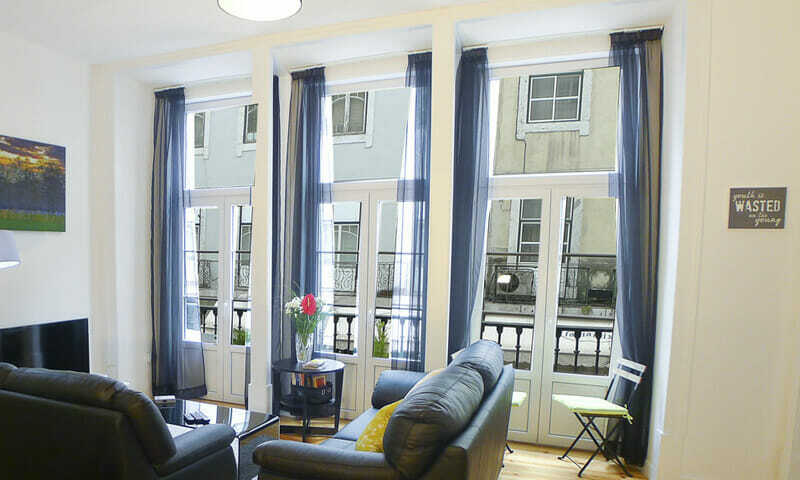 LV Premier Baixa Apartments – FI is a well-appointed and very bright 2 Bedroom apartment, with beautiful high ceilings, fully equipped located in the city center of Lisbon, minutes away from all key attractions. 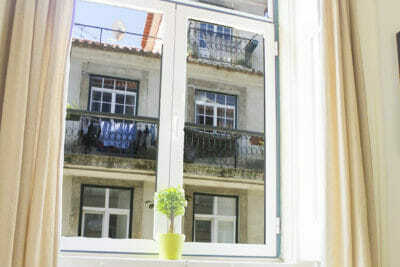 Featuring beautiful Juliet balconies, the apartment and the building kept the traditional architecture. 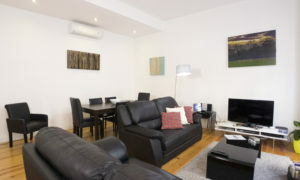 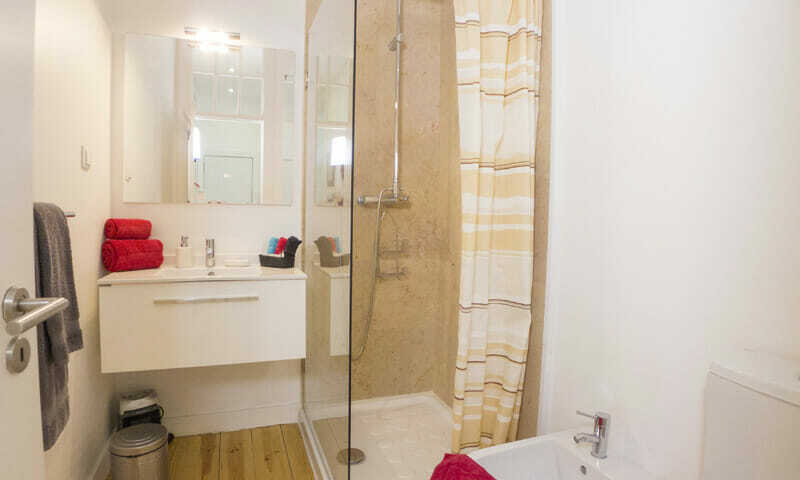 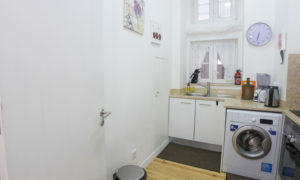 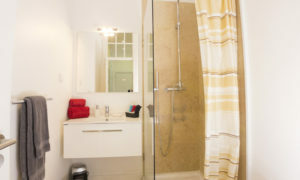 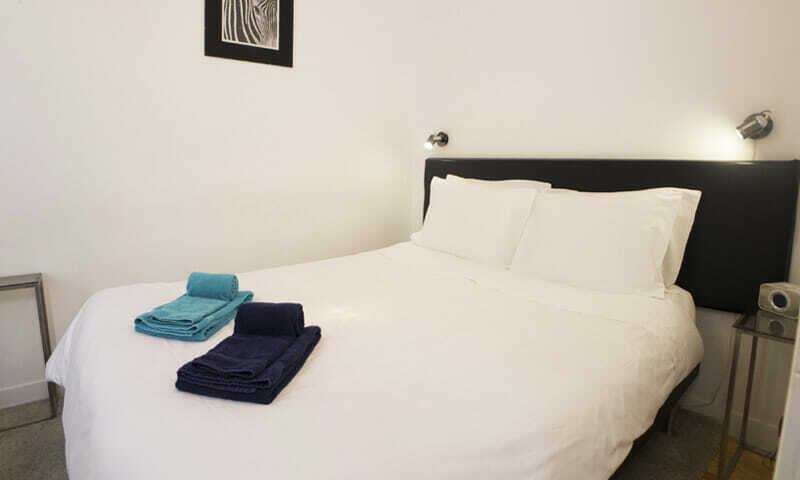 It accommodates 4 people in the bedrooms and a maximum of 4 extra guests in 2 folding beds and sofa bed. 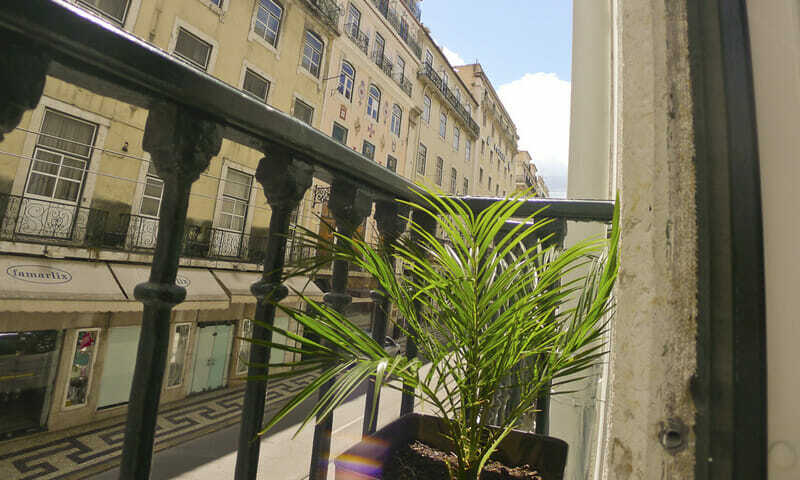  The LV Premier Baixa Apartments – FI is perfect for those that want to be in a historic area, but seek modern day comforts – the apartment is fully equipped with brand new contemporary furniture and a neutral decoration. 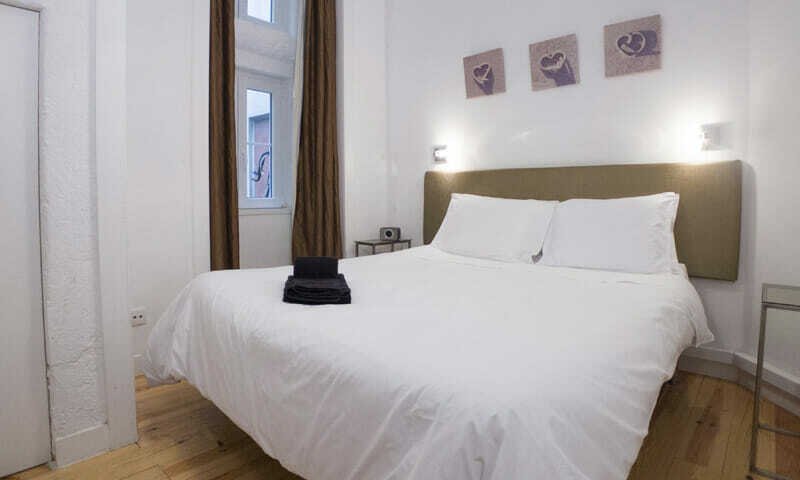 Superbly located, it will allow you to walk everywhere and explore the city at your rhythm. 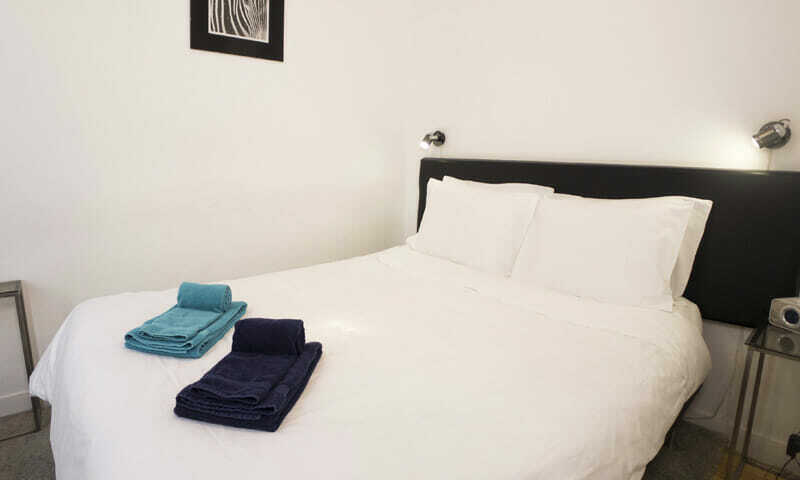 The LV Premier Baixa – FI vacation apartment features two bedrooms, one very large living room with dining area, a kitchen and a bathroom. 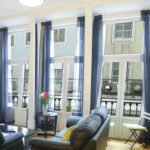 The living room room and front bedroom have very large windows – with double-glazing to ensure a quiet ambient. Traditional wooden floors add to the sense of space of the apartment. 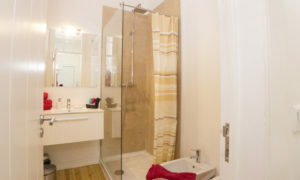 The unit is one flight of stairs from the building lobby, with easy to manage stairs. 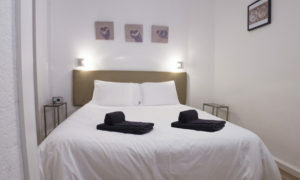 The super comfortable beds are new, and inviting with crisp sheets waiting for you. The apartment has AC, and has a fully equipped kitchen. Bath towels and bed linen are of course included. 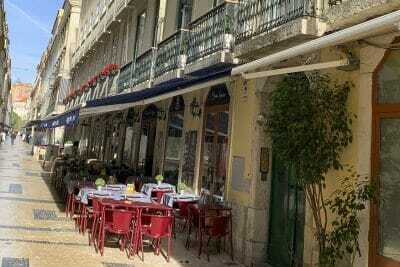 Baixa Chiado is the center of Lisbon. 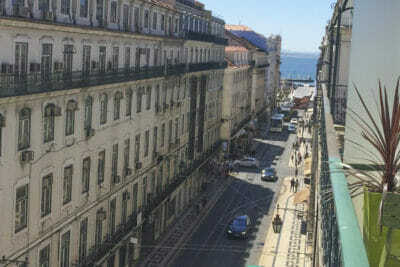 Mostly destroyed in the earthquake of the mid 1700s, it has been rebuilt by marques de Pombal using a grid system. 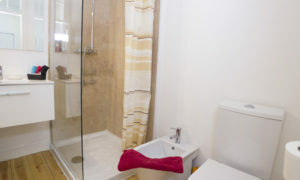 Most of the buildings are the 1800s and 1900s and have been converted to mixed residential and commercial use. 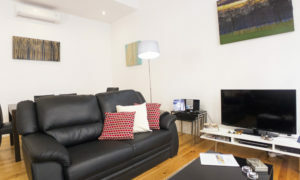 You will find lots of shops, restaurants, some supermarkets and all key necessities in the area. 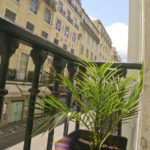 Transportation links are very good with 3 metro stations with 5 min walk from the apartment, lost of buses, taxi stand in Praça da Figueira, parking garages etc. 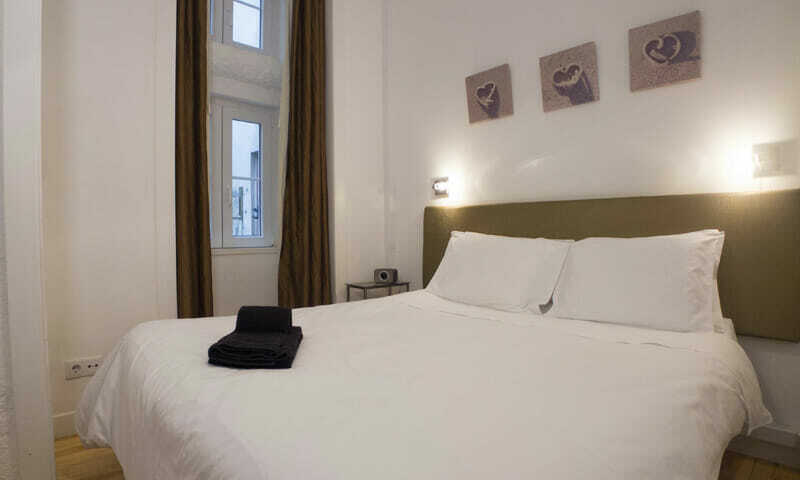 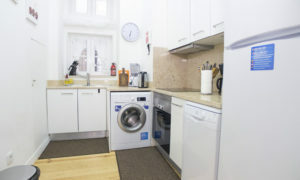 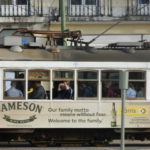 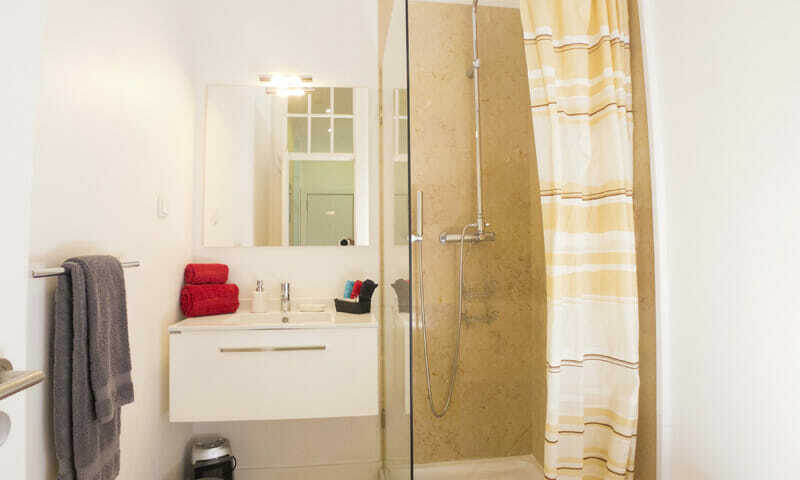 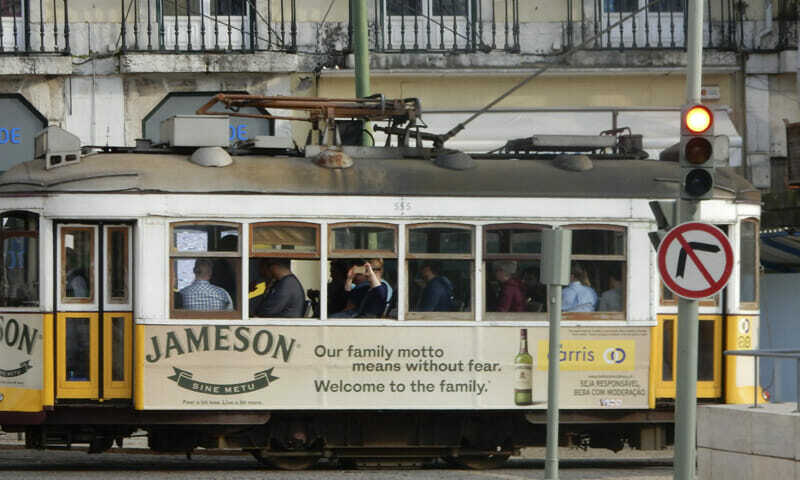 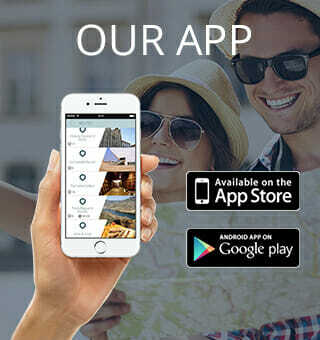 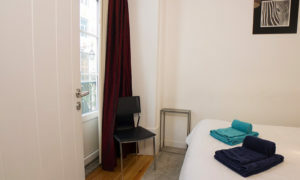 Key nearby attractions- Praça da Figueira, Comércio and Rossio, Chiado quarter, and the old neighborhoods of Bairro Alto and Alfama are all within a easy walk.